This book brings together the concept of resolution, which limits what we can determine about our physical world, with the theory of linear inverse problems, emphasizing practical applications. The book focuses on methods for solving illposed problems that do not have unique stable solutions. After introducing basic concepts, the contents address problems with "continuous" data in detail before turning to cases of discrete data sets. As one of the unifying principles of the text, the authors explain how non-uniqueness is a feature of measurement problems in science where precision and resolution is essentially always limited by some kind of noise. Early concepts of resolution. Modern concepts of resolution. Elementary functional analysis. Resolution and ill-posedness. methods and resolution. Statistical spectral analysis. Resolution in optical microscopy. Some further optical applications. Appendixes. "This is a unique text - a labor of love, I suspect - pulling together for the first time the remarkably large array of mathematical and statistical techniques used for analysis of resolution in many systems of importance today – optical, acoustical, radar, etc. The final two chapters provide the perspective of practical resolution challenges in a multitude of situations, from light scattering and particle sizing to microscopy and tomography. These chapters will be of great value to those concerned with the fundamental limits in these fields…. I believe it will find widespread use and value." "a tour-de-force covering aspects of history, mathematical theory and practical applications. The authors provide a penetrating insight into the often confused topic of resolution and in doing offer a unifying approach to the subject that is applicable not only to traditional optical systems but also modern day, computer-based systems such as radar and RF communications." "This is a book on the ultimate limits of resolution in imaging when digital image processing is considered. Therefore it is also a book on linear inverse problems, a basic tool in computational imaging. It provides a thorough account of this topic showing that solving an inverse problem is a mathematical game which requires a deep understanding of its physical foundations. 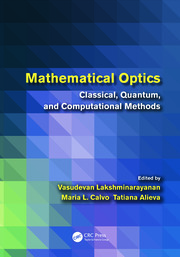 The mix of physics and mathematics is a unique feature of this book which can be basic not only for PhD students but also for researchers in the area of computational imaging." "This beautiful book can be read as a novel presenting carefully our quest to get more and more information from our observations and measurements. Its authors are particularly good at relating it." "a ‘must have’ for anyone interested in imaging and the spatial resolution of images. 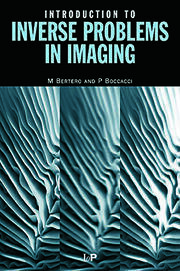 This book provides detailed and very readable account of resolution in imaging and organizes the recent history of the subject in excellent fashion.… I strongly recommend this well written and highly informative book and thank the authors, both experts in this field, for the work they put into it." 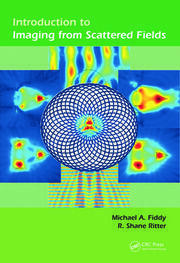 "This unique book provides all the necessary background in physics and instrumentation as well as on the mathematical aspects of inverse problems." 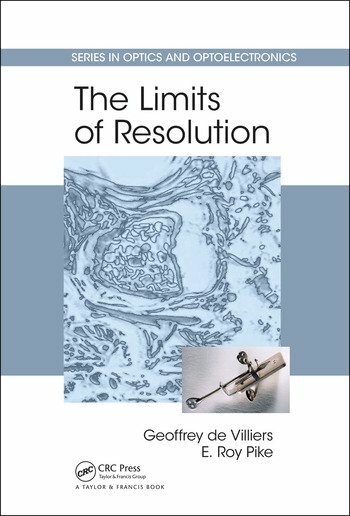 "With much attention directed towards achieving super-resolution in a number of research areas at present, this book proves that the fundamental concept of resolution — a prerequisite for understanding the challenges of super-resolution — offers a rich topic of scientific discussion…. As inversion methods play a central role in the extraction of details from raw data and in the subsequent (and undesired) noise amplification, the text provides an in-depth presentation of linear inverse problems."